The Play-in games begin on Tuesday, March 14th! 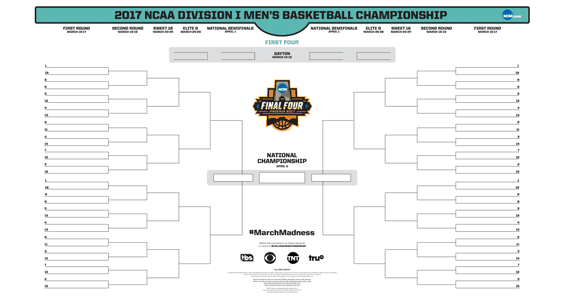 With NCAA March Madness Live, you can watch every game of the 2017 NCAA Division I Men’s Basketball Championship LIVE at home or on the go. PC: Visit http://www.ncaa.com/march-madness-live and log in with your Grande account information. Mobile: to watch live first download the March Madness Live app or CBS, TBS, TNT or TruTV app directly and log in with your Grande account information. Select Grande from the list that appears after you tap or click "Select TV Provider"